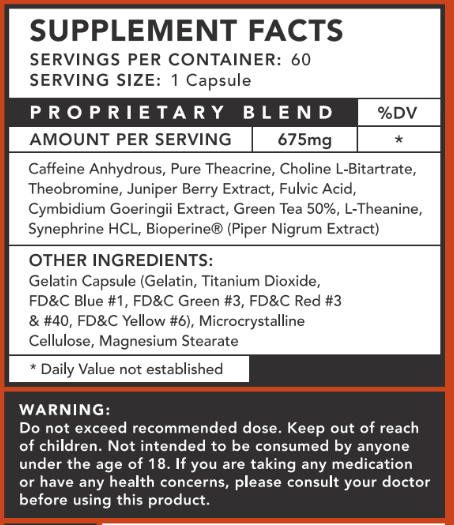 Our most popular fat burner is back, and we can verify it’s as strong as ever! 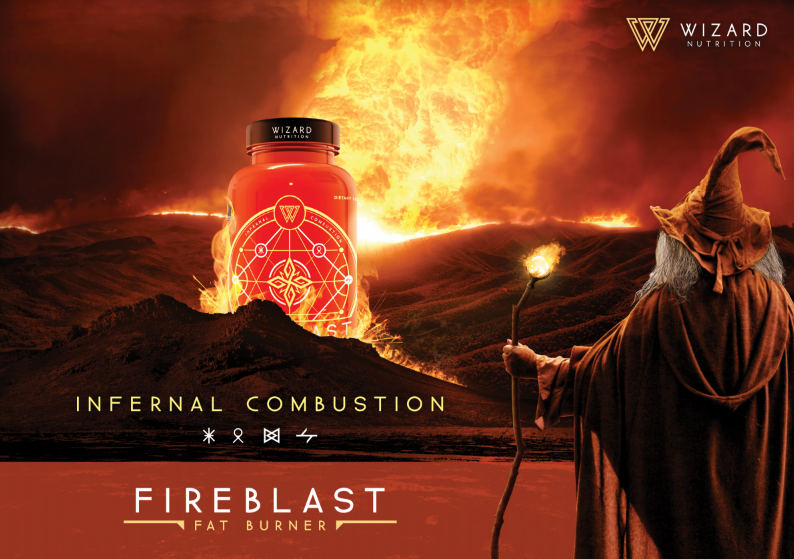 From the moment of conception, the alchemists at Wizard Nutrition knew that FIREBLAST was extraordinary. A discovery of such magnitude is rare in the wizard community, and for a time it was considered impossible to improve. But after months of intensive research and rigorous testing, a team of elite alchemists defied the odds, making a breakthrough that led to the invention of FIREBLAST v2. Exceeding the benchmark set by the original, FIREBLAST v2 is undoubtedly the most potent fat burner on the market. Boasting unrivalled thermogenic power, a cleaner energy complex and a refined set of mood enhancing ingredients, FIREBLAST v2 will light your way on the darkest of days. FIREBLAST v2 features a new fusion of stimulating ingredients, and is completely free of DMHA. The synergy of Pure Theacrine, Cymbidium Goeringii Extract, Juniper Berry Extract and Fulvic Acid delivers a much cleaner energy boost and superior mood enhancement, preserving the strength of the original FIREBLAST capsules whilst eliminating any drawbacks. Every capsule is packed with the power of infernal combustion, ready and primed to incinerate fat throughout the day. Q. If I’ve been taking the original Fireblast capsules, how will I respond to Version 2? A. If you have been taking them for a while, there is a chance that you have developed a tolerance to some of the ingredients present in the original Fireblast capsules. Because Version 2 contains new compounds, it should have a more noticeable and reliable effect. Q. What’s the initial feedback? How does Fireblast v2 compare to Fireblast v1? A. We’ve given out lots of samples of Version 2 to people who have been using the original daily, and the majority of people notice an improvement in energy levels and overall mood compared to Version 1. There are no reports of a drop in fat-burning effectiveness. Directions take 1 capsule daily, for best results consume on a empty stomach.